Jennifer has been a technician for 24 years and with Edinburg Animal Hospital for 15 years. She has a Bachelor Of Science degree from William Paterson University. She enjoys spending time with family and friends. 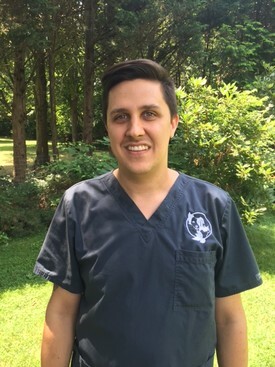 Corey has been working in the veterinary field for the past nine years and joined Edinburg Animal Hospital in 2017. Corey enjoys working with animals and is currently working towards getting his degree to become a certified technician. He used to be a breeder of chinchillas so he loves getting to work with them and other exotics again. Corey also manages customer service and marketing for the hospital. At home Corey has a Pit Bull named Louis, a Goldendoodle named Khaleesi, and a Poodle mix named Chewbacca. Corey is a big fan of Game of Thrones and Star Wars. When he is not working he enjoys traveling, vegetarian food, and video games. 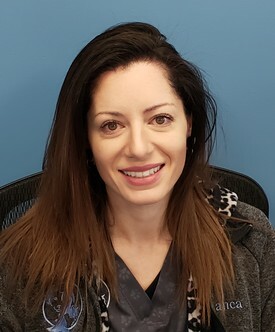 Melissa has been a technician for 16 years and has been with Edinburg Animal Hospital for 10 years. She is our head technician and exotic animal surgery technician. She lives with her husband, son, three cats (Michael, Perry, and Ferb), two dogs (Calli and Roo), and a Devon Rex rabbit (Kanga). In her spare time, she enjoys camping in the Poconos and relaxing by the ocean at Long Beach Island. 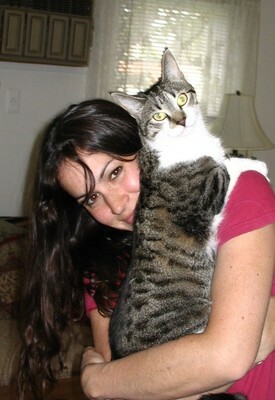 Nicole grew up in Hamilton, NJ and has worked at Edinburg Animal Hospital since 2012. She has an associates degree in chemistry and biology, is certified in dairy cattle artificial insemination and scuba diving. 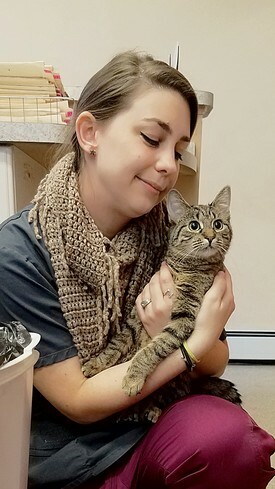 Currently she is in her final year of studying animal science at Rutgers University, and hopes to go to veterinary school in Florida upon graduation. Nicole has always loved animals and has known since she was very young that she wanted to work with them as a career. 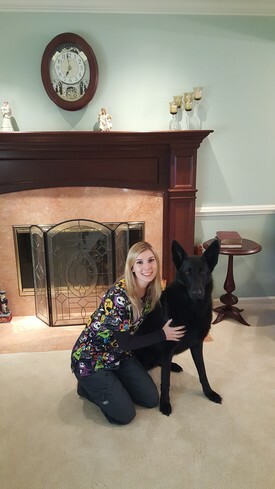 Nicole has a four year old black German Shepherd named Thor who loves to swim with her. She loves summer time and enjoys laying out by the pool. Her favorite holiday is Halloween and her hobbies include snowboarding, quad riding, and boating. Outside of work she enjoys anything Disney or Marvel related. Nicole's favorite place to go is Disney world in Florida. 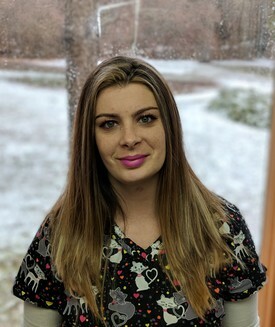 Jenna is from Hamilton, NJ and joined Edinburg Animal Hospital in 2017. 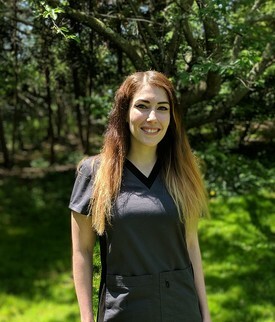 She successfully completed the NAVTA Veterinary Assistant program in 2016 and is looking forward to continuing her education to become a Certified Veterinary Technician. At home she has three wonderful kitties named Missy, Oliver and Alina. Jenna enjoys live music, traveling and spending time with her family. Figaro, also known as Fig, came to us in January of 2017. Fig was found with pneumonia in the woods as a feral kitten. We nursed him back to health and he became our hospital cat. He likes to nurse our hospitalized patients back to health and likes to lay next to them in their kennels. His favorite patients are rabbits. Fig likes to make homes out of copy paper boxes and loves to play fetch with his toy springs. Be sure to say hello next time you are in and toss around Fig's toy springs! 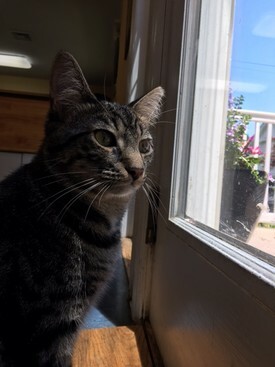 Newton, also known as Newt, came to us in May of 2017. 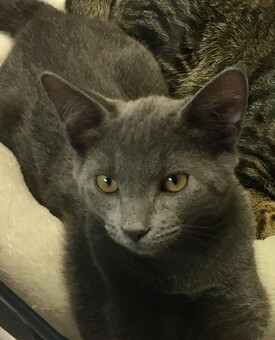 Newt was found in Mercer County park as a very young kitten weighing only one pound. With the help of Fig, we nursed him back to health and he became best friends with Fig. Newt loves to nap on Dr. Fanders' desk and loves to eat bugs.